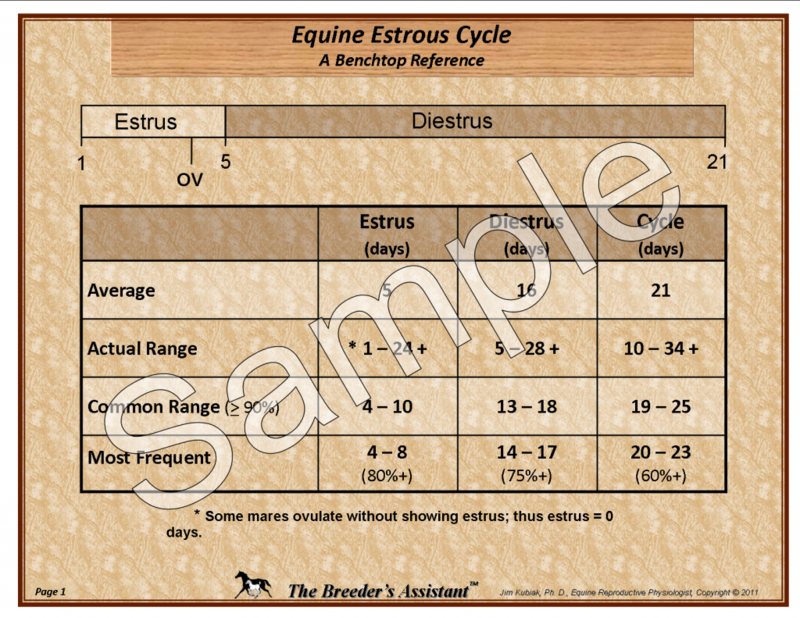 This 2 page bench top reference provides a quick reference of the Equine Estrous Cycle and Follicle Growth & Ovulation. 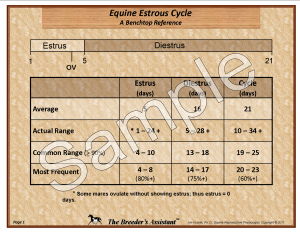 The Estrous Cycle chart includes the Average, Actual Range, Common Range and Most Frequent Range for Estrus, Di-estrus and the Estrous Cycle. The Follicle Growth & Ovulation chart includes the Common & Actual Ranges for Follicle Growth and Follicle Size at Ovulation.